Is sugar toxic to your body? and addictive? I think everybody needs to watch this video from a recent 60 Minutes episode to see just how harmful to your health sugar really is. I don't think most people understand the seriousness of this. So many people seem to blindly eat and drink loads of sugar each day (Americans consume a whopping 1/3 lb of sugar per DAY on average) without thinking about how this internally affects your body and your biochemistry. You might argue that some natural sugars have always been in the human diet, so why is this an issue? Well, yes humans have always eaten small amounts of natural sugars from fruit as part of the ancestral diet, but we've never historically been exposed to the massive amounts of added sugars that we see in today's world of sweetened drinks, candies, cakes, cookies, as well as added sugars in everything from condiments to dressings to tomato sauces. Especially the massive quantity of sugar exposure from corn syrup! The video also mentions that in one controlled study, they replaced 25% of the daily calories of the subjects with sugary drinks, and took continual blood tests. The tests showed that by replacing 25% of their daily calories with sugary drinks, the subjects increased their dangerous small dense LDL particles in their blood which causes arterial plaque and heart disease. Yes, in fact, sugar and carbs in general contribute more to heart disease than fats do, as we've covered in depth in this article . 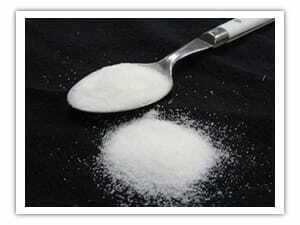 Is HFCS really "the same" as sugar? Also take note that the video mentions how sugar feeds tumors and can make cancer worse. In fact, I've been reading more and more about recent cancer research showing benefits to cancer patients of using a ketogenic diet that is super low in sugar and carbs while being high in fat in order to help reverse cancer. In addition, sugar activates reward centers in your brain, similar to drugs like cocaine, thereby making sugar addictive . The part of the video where they do brain scans on him while he sips a sugary soda is interesting indeed. One other thing to mention about this video... I don't fully agree with how they lump honey and real maple syrup in with table sugar or HFCS. Although honey and real maple syrup are mostly sugar, and should be minimized overall, both of them at least have additional micronutrients and antioxidants that sugar or HFCS simply don't have, and are fine in moderation. And honey has even been shown in several studies to improve glucose metabolism in your body when taken in small doses. In addition, another aspect that the video fails to mention is that it's not just added sugar that causes all of these negative effects in your body, but also fast-digesting carb sources like breads, pastas, bagels, muffins, rice, and other grain-based foods that spike your blood sugar just as quickly as regular table sugar. For example, each piece of bread you eat is basically equivalent to eating about 20 grams of sugar since the response to your blood sugar and triglyceride levels is essentially the same, if not worse than sugar in some cases. The bottom line is that food manufacturers want you to be addicted to sugar and continue to buy all of their high profit junk foods and sugary drinks which destroy your health. But it's time to take control of your health for yourself and not support these giant businesses who only care about their corporate profit and not about how they are destroying your health. We'll show you how to utilize plenty of powerful foods, spices, herbs, and nutrients that PROTECT your body from the ravages of sugar and aging on the next page !